Continuing right where we left off, here are the top 6 hip hop albums of 2018. If you somehow missed out on part one, check that out by clicking on my name and scrolling down. Feel free to message me on Instagram @youngthuggamanekyle and give me your feedback on my list. 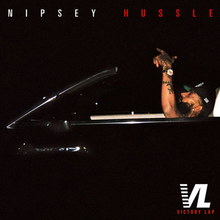 2018 started off with a bang when Nipsey Hussle dropped his highly anticipated debut studio album Victory Lap in February. The project, which contains 16 songs, is a modern west coast G-funk-influenced masterpiece. This is essential listening for fans of west coast hip hop that has both substance and swagger, and the skill to back it up. This is one of the best west coast releases in 2018 by far. In April 2018, Kanye West announced that his label GOOD Music would be releasing a series of 5 albums starting in May and ending in June. 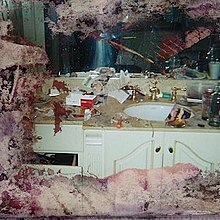 The first of these albums to be released was Pusha T’sDaytona. The album followed up Push’s 2015 effort King Push – Darkest Before Dawn: The Prelude. It was originally supposed to be called King Push, but was renamed before release. The album contains 7 tracks, each produced by Kanye West. This album is so good because of the sheer quality of each track. Pusha spits some of his hardest bars ever over super fresh beats that don’t get old even if you listen to the tracks over and over. This is an amazing album that I would 100% recommend. 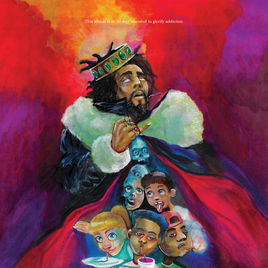 To get straight to the point, J. Cole’s fifth studio album KOD was one of the best of 2018 for many reasons. It is a concept album that discusses drug abuse, addiction, taxation, and much more. The project contains different elements of hip hop including jazz rap, trap, and conscious rap. It was especially relevant because of all of the overdoses that keep occuring in the hip hop community and world in general. Cole also took this album on the road and performed sold-out shows all across the country, including in Utah. This album took J. Cole to a new level that he hadn’t explored until now, and the only way for him to go is up. There were many artists that broke out in 2018, but none became bigger than Houston’s own Travis Scott. La Flame unleashed his long-awaited third studio album in August after working on it for almost three years. 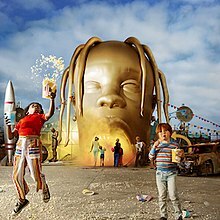 Astroworld contained 17 tracks with features from Drake, Gunna, Kid Cudi, Frank Ocean, The Weeknd, and many more. The album took listeners inside Scott’s mind and allowed them to feel what he experienced when the Astroworld theme park in Houston was closed. The project performed well commercially and was met with critical acclaim from many outlets. This is without a doubt a standout project in a year full of so much amazing music. Scott is currently in the midst of a world tour in support of the album. While the casual hip hop listener might not be familiar with Chicago rapper Saba, that should not discount the skills that he possesses behind the mic. Saba has been active in the game for 6 years now, steadily growing his fan base each year. 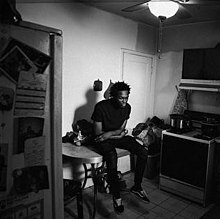 Care For Me is by far his most personal work yet. The album details the events leading up to the murder of Saba’s cousin John Walt in February 2017. Topics discussed on the project include depression, anxiety, and the emotions Saba felt while the whole ordeal was happening. Care For Me has received mass critical acclaim from critics far and wide, with praise stemming from the topics discussed and the production quality of the tracks. If you haven’t checked the project out yet, you are severely missing out and I’d suggest listening to it as soon as possible. 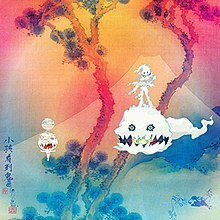 Kids See Ghosts was the third album released out of five by Kanye West’s label GOOD Music in the summer of 2018. The album is 7 tracks long and has a run time of 23:53. Upon release, it was met with widespread acclaim from many critics. Some of the biggest praise that the album receives stems from how great West and Cudi sound together. The use of other musical styles such as psychedelic, rock, and rap rock are high points of praise as well. Overall, this project is the best of 2018 because of the influence that it has already begun seeing in the musical world. Check this album out immediately if you have not heard it yet. 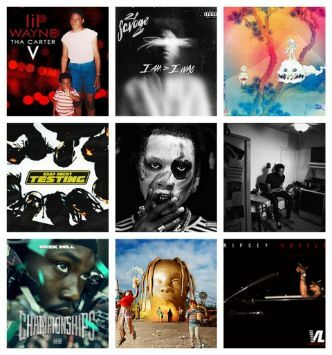 Overall, 2018 was an amazing year for hip hop. It was one for the ages because so many high quality projects were released. 2019 is already shaping up to be another great year, but only time will show us what is in store.